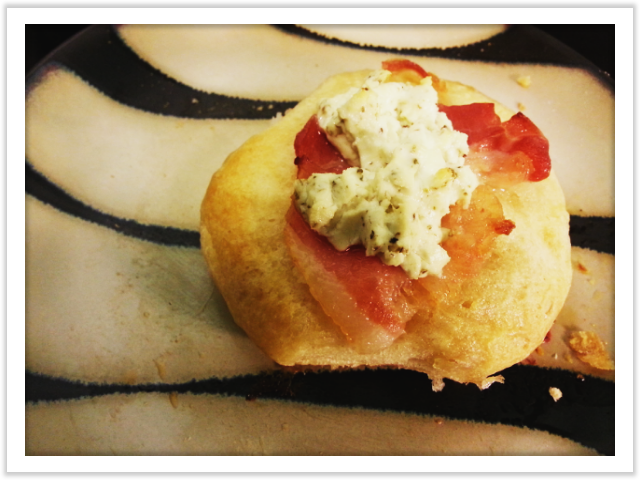 Make these delicious biscuits as part of a meal or an appetizer. The best part is that is so easy! 2. Use a baking sheet and butter it so biscuits do not stick to the bottom. 5. 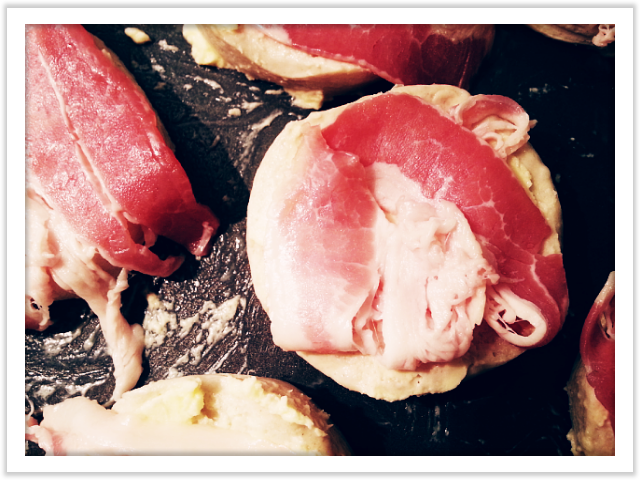 Place bacon on top of the biscuits. I suggest 1/2 strip per biscuit but you can put as little or as much as you like. 7. 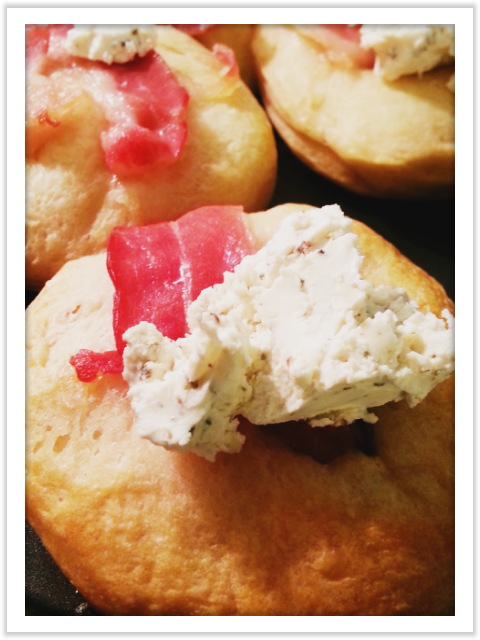 Remove biscuits from oven and add the goat cheese. Place the tray back in for another 3-5 minutes to warm and slightly melt the goat cheese. 8. 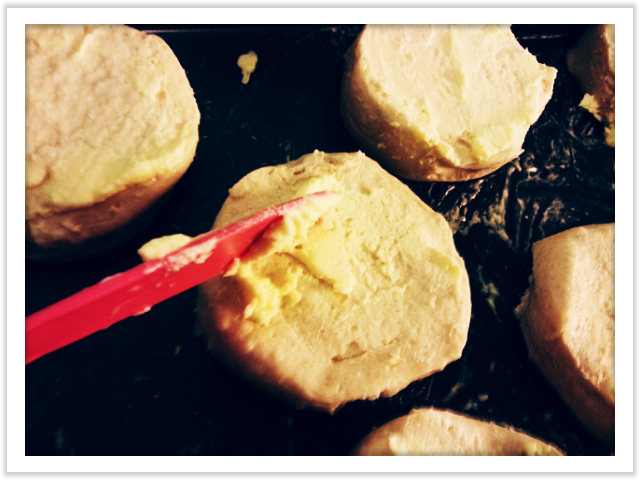 Remove the biscuits and allow them to cool slightly before eating.